Are you ready for the General Data Protection Regulation change on May 25th 2018? At Gylly Computer Services we understand the importance of your networks security. We have a number of solutions available from ESET, our preferred Internet Security solution(s). Ranging from your standard NOD32 Anti-virus solution, to your full disk encryption solutions. 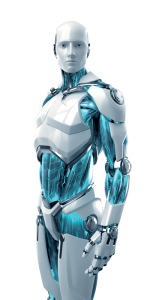 As a UK Reseller for ESET, we’re able to advise and supply the best solution for you based on your requirements. We’re also therefore able to offer ESET’s award winning protection for the same price as purchasing direct, meaning you only have to call one number in the event you bump into an issue! With cyber crime on the rise, the time to ensure your business and home networks are protected is now. Call us today on 01326 312664 (Option 1) or email us at info@gyllycomputers.co.uk.